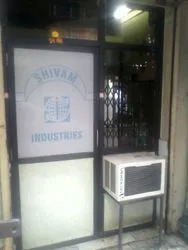 Incepted in the year 2002, we Shivam Industries, Mumbai are one of the leading manufacturers of a wide range of industrial chemicals, solvents, pharma cosmetics and foundry chemicals. Our range is renowned for safe and effective features and is used for number of applications in various industries such as ethanol, paints, thinner, printing inks and pharmaceuticals. Under the able guidance of Mr. Chandan Ganguly, we have been able to carve a niche in the market. His rich acumen and vast experience has enabled us to leave a mark in the competitive market. We boast of our dedicated and competent team which has helped us every in each stage starting from sourcing of raw material till final dispatch to the client. We have our own infrastructural unit fully equipped with sophisticated machines which facilitates us to formulate quality industrial chemicals at most competitive prices. We take pride in having a large warehouse which is dust and moisture resistant which ensures that our assortment of industrial chemicals is stored safely. We are offering the samples of our range absolutely free of cost and our effective distribution network makes the delivery within the stipulated time frame. Owing to all these reasons, we have achieved the confidence of our patrons throughout the country. We offer a wide range of industrial chemicals that are widely reckoned for their purity and reliability. These products are produced using premium quality raw material such as non metal chemicals, solvent and sodium procured from reliable vendors. Customer satisfaction being our prime motive, we check our range on well defined parameters so as to avoid discrepancies at the time of delivery to our esteemed clients.